The Blueproject Foundation presents the exhibition “stratum zero” by Julia Llerena, the second resident artist selected from the open call. Her project can be visited from May 11 to July 8 2018 at the Sala Project. “Julia Llerena develops a high capacity of abstraction in the action of her work, which is visible in the result. In her research, which one can catalog as archeological-mnemonic, she does not stop looking at the ground, thinking and being at the same time on other planets. In an interview that took place a few years ago, the artist stated: ‘I try to make a contained metaphor of the universe’. This deep innocence of trying to understand the world might be the driving force of her work, but it is not as innocent as it seems. Instead, she places the subject and the lead of her story on the subconscious, by forming a resounding physical plasticity in the final execution. In the same interview, she also said: "I have always had the feeling of being somewhere else". 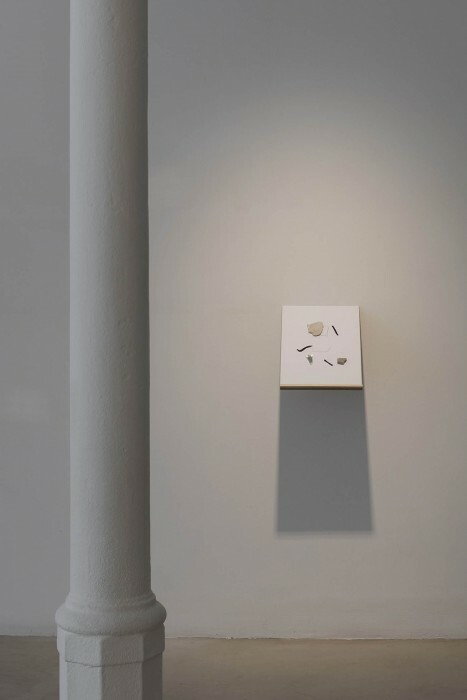 This "somewhere else" is in the subsoil and it appears on the surface by the hand of the artist, which has as its purpose a methodological observation to which follows the collection and classification of the found objects for their final presentation. 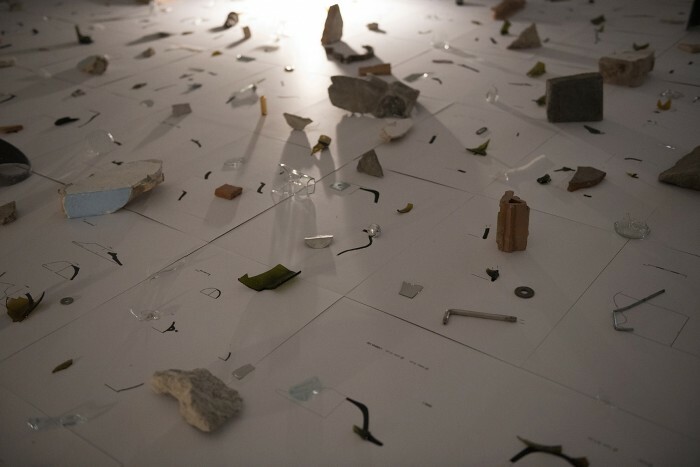 As Robert Smithson said once: ‘There is no order outside the order of the material’; and this sentence is adopted by Llerena as a motto, where that order becomes a language by researching about the communication based on a new objectual alphabet that the artist develops in her creation. 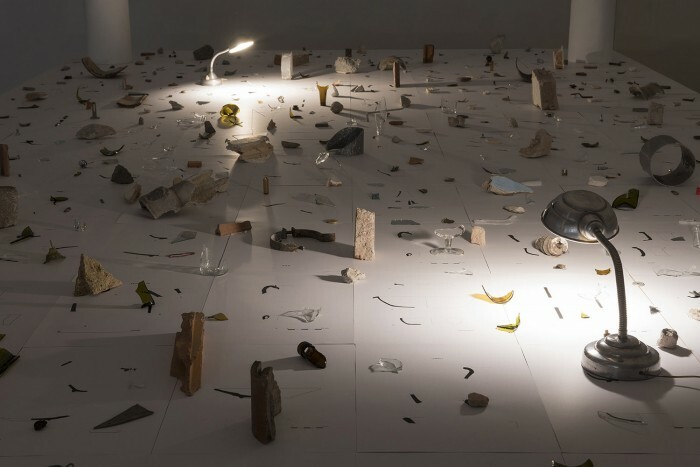 As an urban explorer, Llerena, in a similar way as Mark Dion does, is interested in the non-perishable street waste (pieces of glass, steel, cement, iron, copper, stones, etc.) that she catalogs as remains of some patterns of behavior and consumption of our contemporary society. The difference with the scientific method is in the result, where the artist is carried away by the qualities of the collected, which is just based in purely material and aesthetic attraction. The Portuguese writer Antonio Lobo Antunes says that ‘more and more, the material I deal with becomes autonomous, independent of my will’. A sentence that serves us as a reference, because Llerena, changing things up, fights against this idea and turns all of her compilation into a language that she wants to transmit after having made it her own. 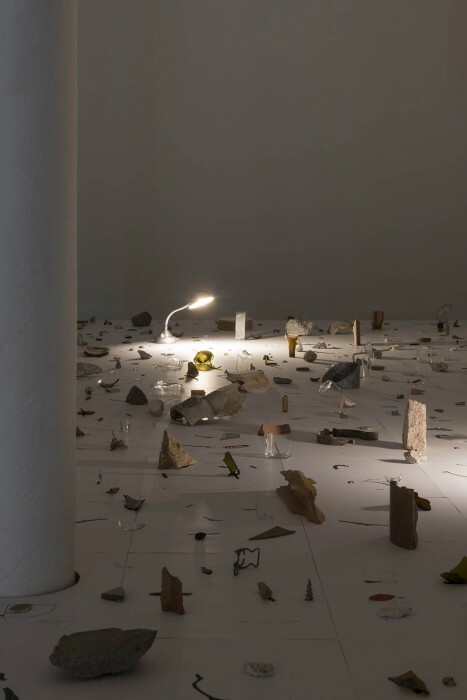 The word stratum appears repeatedly both in the titles and explanations of her works, but the strata of Llerena are not all underground, but also raise to the surface and seem to reach beyond.